I originally wrote this blog post for the Calgary Stampede blog leading up to the annual Aggie Days event. Aggie Days is a free, family event taking place April 12 and 13 at Stampede Park in Calgary. I thought I’d share the blog post here as well as some of you may be interested in learning more about the various pieces of equipment used on the farm. Growing up on the family farm in southern Manitoba, my brothers and I spent many hours playing with farm toys. While we were inside playing with our toy farm equipment, our parents were outside working with the real farm equipment. Each piece of farm equipment performs a certain function. Red, green, yellow, blue – it doesn’t matter what colour it is. While driving outside the city limits, have you ever noticed a piece of farm machinery working in a field and wondered what that was and what it was doing? Well, no more wondering. Read on to learn about a few key pieces of farm machinery. Let’s begin with a tractor. Most of you have probably seen smaller tractors working in the city. Most farmers have a few different sized tractors that serve different purposes. For example, on my family farm we have a smaller tractor that is used to feed hay bales to the cattle. We also have medium-sized tractors which pull equipment such as a baler, which compresses a cut and raked crop such as hay and straw, and forms it into a bale. And we have large tractors which are used to pull various pieces of farm equipment such as a cultivator, which tills the soil. A tractor pulling a cultivator in a field. A tractor also pulls an air seeder, which is an important piece of equipment on the farm. An air seeder is used to plant the seeds that will grow into crops. 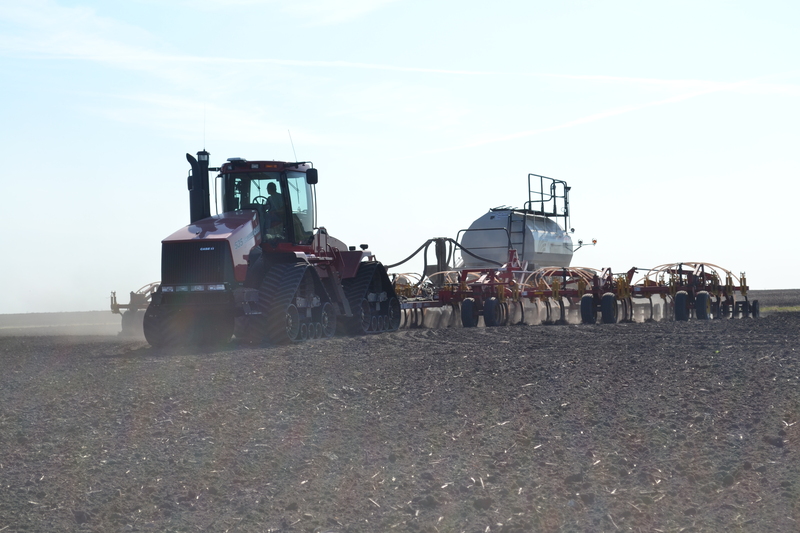 A tractor pulling an air seeder in a field. After the seeds are planted and start to grow into crops, the crops are sprayed to protect them from insects, weeds and diseases. A sprayer is used for this. 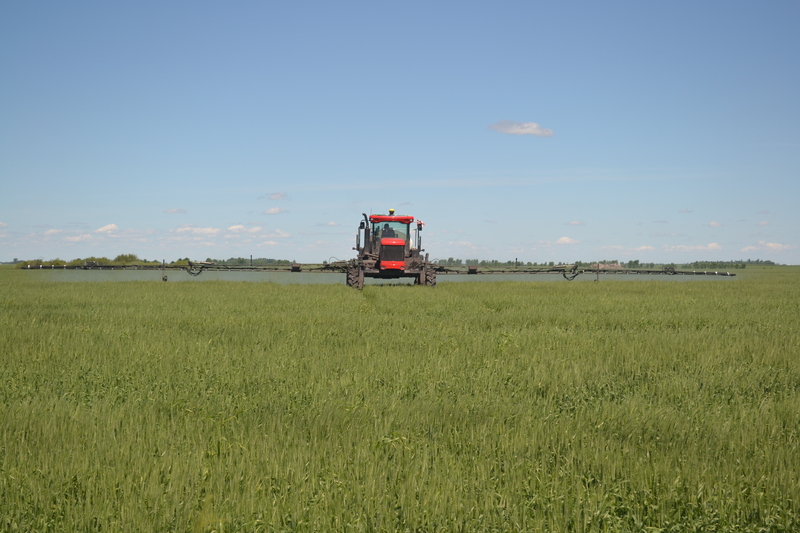 A sprayer can either be pulled behind a tractor or is self-propelled. A sprayer in a field. The crops continue to grow until they can be harvested. 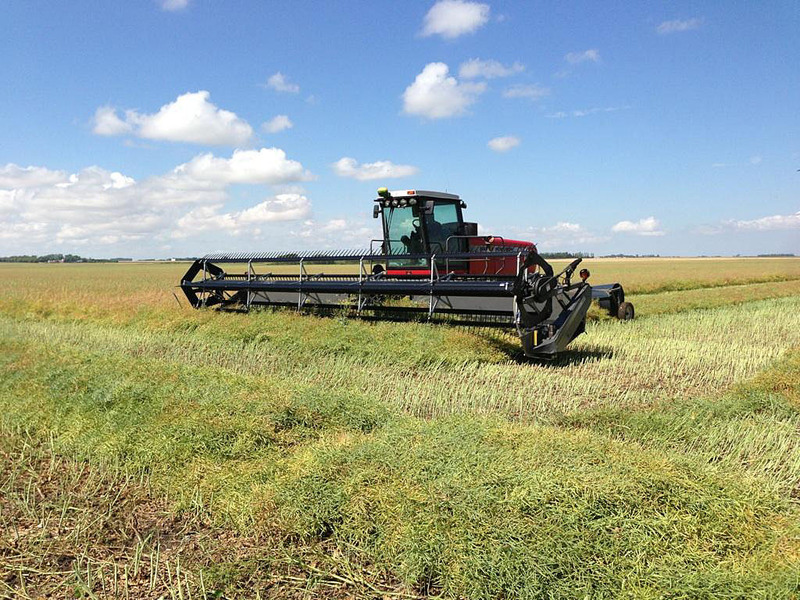 A swather is sometimes used at harvest time to cut the standing crop into swaths or rows. It’s only used for some crops such as canola. A swather in a canola field. Finally, a combine is used to harvest the crop. The combine picks up the crop, which is either in swaths or still standing, and then separates the seeds from the waste, which includes straw, stems and leaves. 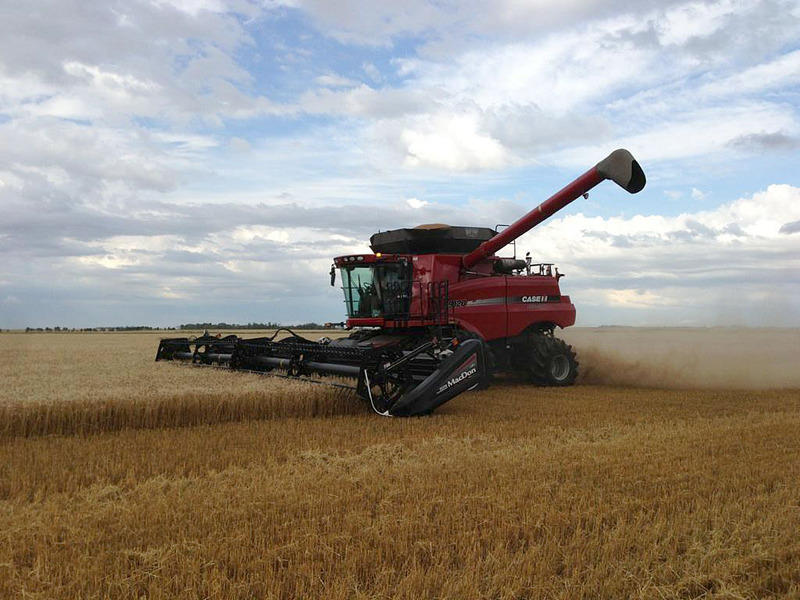 A combine in a wheat field. 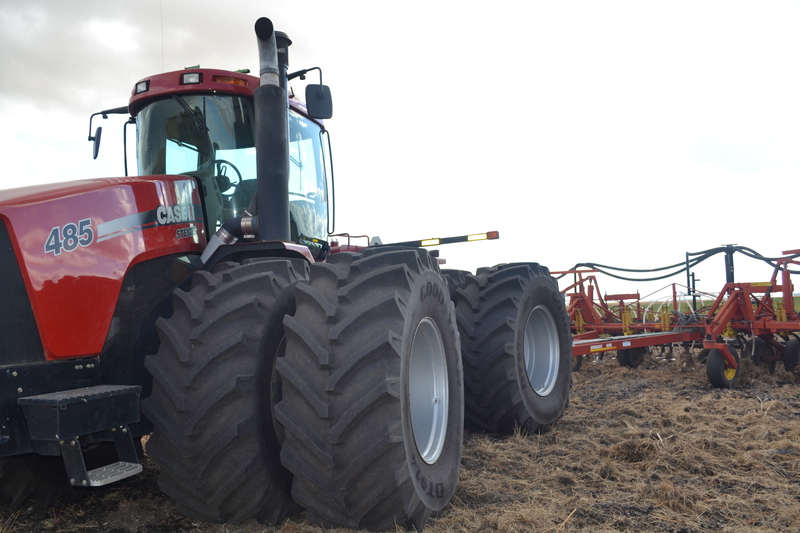 These are just a few key pieces of equipment you’ll find on a Canadian farm. Of course, there are others that I haven’t mentioned. I hope this helps you better understand the basic purpose of these pieces of farm machinery. Want to see some of this impressive farm equipment in person? Stop by Aggie Days, a free, family event taking place April 12 and 13 at the BMO Centre in Stampede Park in Calgary. There you’ll find a big tractor, baler, sprayer and combine. And the kids can play with the smaller, toy versions in the Aggie Days sandbox. Don’t miss it!